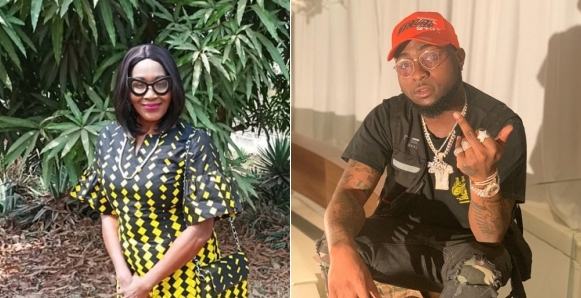 Controversial Nigerian Journalists, Kemi Olunloyo who is known for attacking Davido has again threaten the singer. Davido had made a post that he has been receiving a lot of threats over his political ambition, but said he is still gallant and always ready. 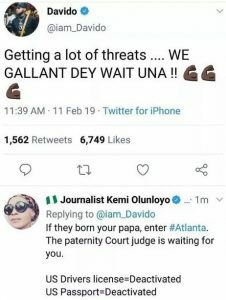 Kemi Olunloyo however came for the DMW boss writing, “If they born your papa, enter Atlanta. The paternity court judge is waiting for you.